Don't throw around the word "style" with interior designer Gillian Hallock Johnson. She'll have none of it. 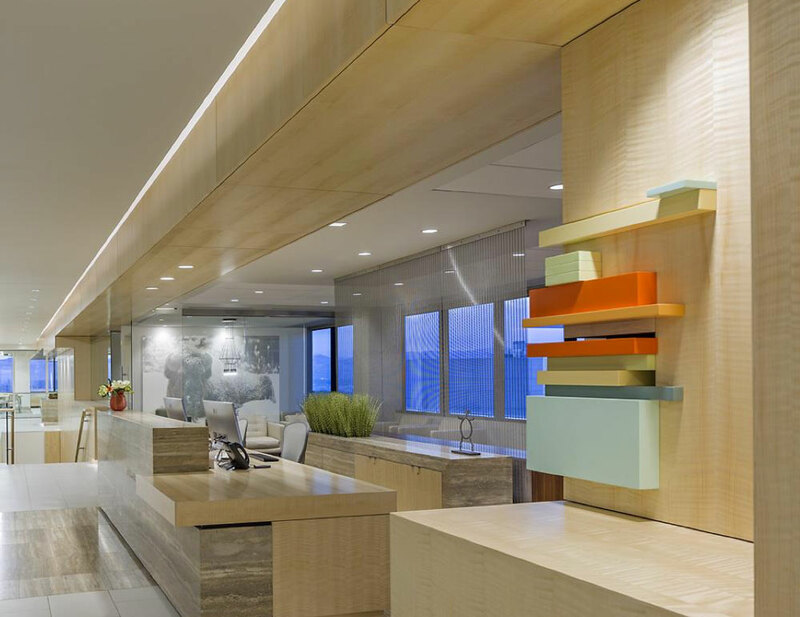 At Holland & Hart Denver, the unexpected artistry of the stacked lacquer blocks embedded in the wood spine wall area sculptural reference to “stacks” of law books that are relatively absolute today. 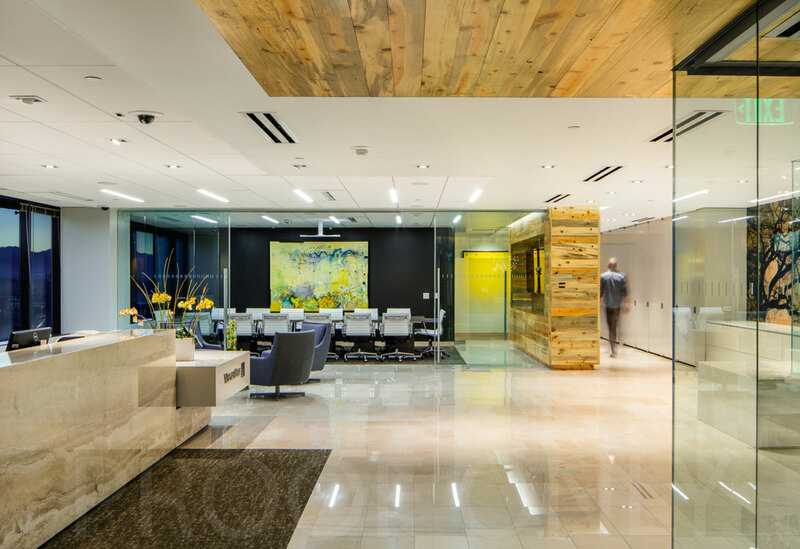 The partners of the new WilmerHale Denver office wanted a design with an expansive outward-looking view to the mountains. 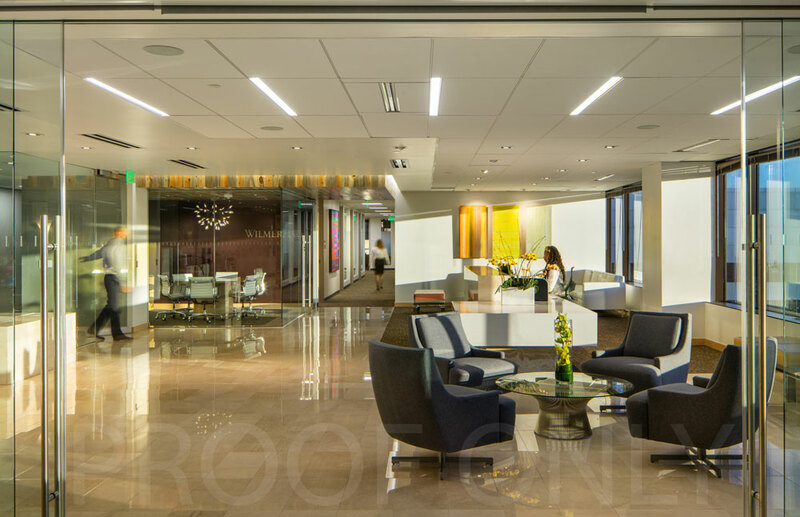 Precise detailing, layered glass walls and the modern use of rustic materials such as beetle-kill pine and stone convey a natural warmth, while architecturally emphasizing the firm’s expertise and personality. The space is edited down to the simplest forms, allowing their art collection to provide color and punctuation. 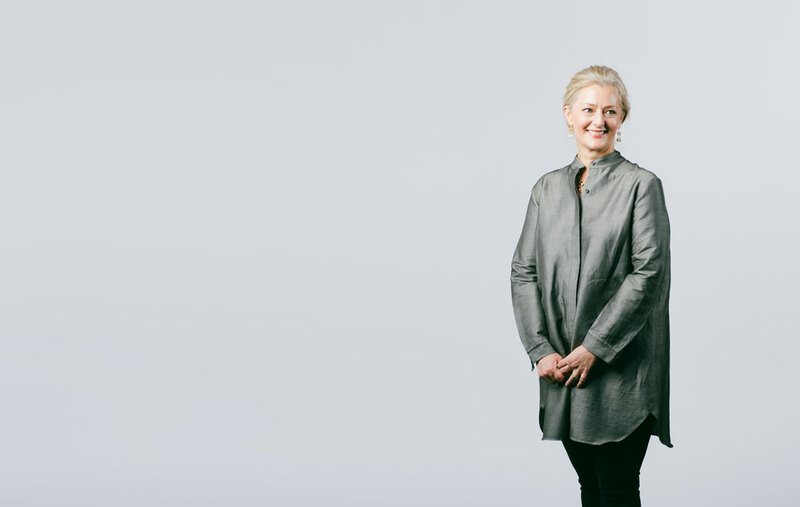 After earning a master’s degree from the University of Colorado College ofArchitecture and Planning, Johnson worked at a couple of local firms, including Anderson Mason Dale, where she met her husband, architect Ron Mason. “If I could have a dinner party and invite anyone I wanted, I would start with my husband because his designs are simple yet poetic. I would bring him back in time with me to Lorenzo de Medici’s court to hear Lorenzo talk about [Filippo] Brunelleschi and Michelangelo and even Machiavelli,” says Johnson, an Italophile who studied at the Instituto Universitario di Architettura di Venezia, speaks fluent Italian and spends every September in Italy. BurkettEUA is the Denver office of EUA.